S.S: Tell us about yourself. Five fun facts. 2. I am our church librarian. 3. One day when my husband was at work, I decided to remodel the upstairs of our house and took out all the walls before he came home that night. He was so surprised. 4. I used to have so many Christmas decorations it would take several days to put them all out. At the end of March 2008, I submitted a proposal for Nipped in the Bud to editor Susan Downs for the then newly developed mystery line, Heartsong Presents Mysteries. Within three days, I received a request for the full manuscript. Then within three weeks, I received a positive evaluation of the manuscript with a few suggested revisions. Susan was not able to contract new works until the fall, and she requested I return the revised manuscript to her by August 1 when she was in a position to make a decision. I was pumped. I’d have to wait until August for any firm answer, but surely this was a good sign. Right? I made the revisions and sent the manuscript back in late July. I’d completed book two in the Garden Gate Mystery series and sent that proposal to Susan, as well. Now all I had to do was sit back and wait for her to call. She didn’t. No phone call. No email. Nothing. No response. And when I asked my agent about it, he was vague, encouraging me, yet at the same time saying nothing. I whined to my critique group, which at the time included three Heartsong Mystery authors. They tried to encourage me, but when August came and went, I was certain Susan had lost interest in my book. 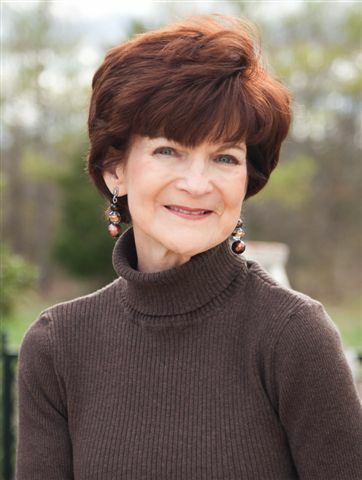 In September, at the ACFW conference when Susan Downs took the stage to award a contract for the Heartsong Presents Mysteries imprint, I sat back and said, “Man, it’s too bad Susan didn’t like my book. It would be so cool to learn of your book contract in front of 500 fellow writers.” Susan began describing the writer who would receive this contract. She started with vague clues and grew more specific. Imagine my surprise when I realized she was talking about me. I turned to my crit group sitting next to me and learned that they knew about this since April. Ditto for my agent, of course. The surprise is one I’ll never forget. I write both romantic suspense and cozy mysteries with a hint of romance. I write in these genres because that is what I like to read. I like the action, mystery and unanswered questions that keep me turning the page. I like trying to solve the mystery and figure out the villain and as a writer, I love coming up with intricate mysteries with a surprise twist at the end so the reader can’t figure out the villain before he or she is revealed. Plus I like to have a good share of romance thrown into the mix. Faith is integral to my writing as it’s a fundamental part of my life. It’s natural for me to write characters who believe and struggle in their faith walk. Before I begin a book, I pray for guidance on a verse to base the story on. Once I am clear on the verse, I think about lessons I may have learned revolving around this verse or how this verse has changed my life. Then I create a story where the characters struggle with this lesson. 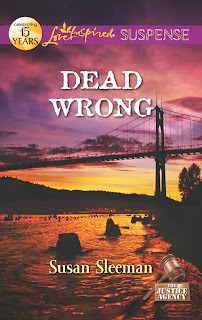 My November release, Dead Wrong is the second book in my Justice Agency series. This is a five book series in the Love Inspired Suspense line about five siblings with a law enforcement background who now work together in a private investigations agency to help people who traditional law enforcement can’t help. 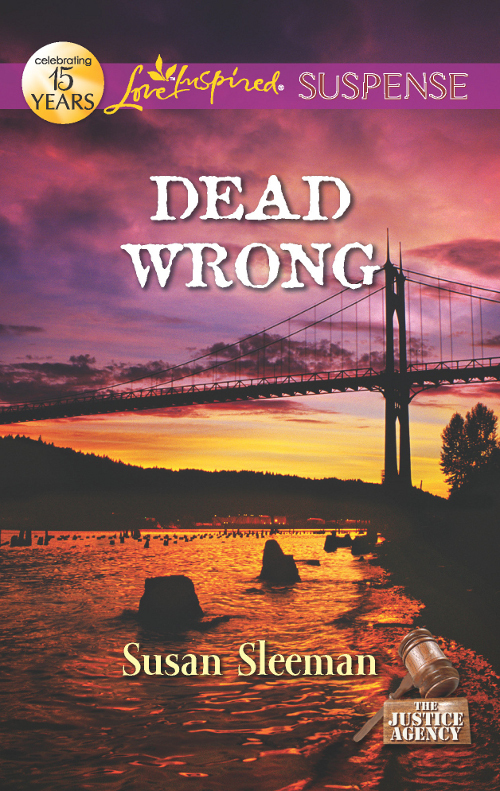 Dead Wrong features Kat Justice a former Portland police officer. When her client and old college friend is murdered, Kat knows the killer will come for her next. Her survival depends on finding her unknown enemy first…and working with homicide detective Mitch Elliot, her onetime crush. It takes all her professional skills to ignore the sparks between them, but Kat can’t allow the handsome cop to get close. She’s seen too many people she loves die, so she vows just to do her job without getting emotionally involved. Yet keeping her distance may not be the best way to protect her heart—or their lives. As often happens with my plots, I came upon the germ of an idea for Dead Wrong’s plot while reading news stories on the Internet. The article that sparked the idea talked about people who keep cell phone accounts active for loved ones who had died so they can call the loved one’s voicemail to hear their voice. As usual, my mind took a weird twist, and I asked the question, what if when the grieving loved one called the phone number someone answered the phone? In Dead Wrong, Kat’s friend does just that. Mourning the loss of her brother who committed suicide, she calls the voice mail and a man answers. She knows it’s not her brother on the end of the line, but she’s long thought her brother wouldn’t end his own life, and she’s now certain that the man who answered the phone is her brother’s killer. She hires the Justice Agency to find the man who possesses her brother’s phone. The theme of Dead Wrong is about worry. I chose the verse, Matt 6: 27 - Can any one of you by worrying add a single hour to your life? Kat Justice struggles with worry. Her worry stems from losing family members and worrying about losing another loved one. She has to learn that worrying is a sin. That it’s telling God she doesn’t trust Him to work things out in His way. I hope if readers struggle with worry that they will remember how Kat learns to deal with it and apply the same principles to their own life. Aw, picking a favorite character is like picking a favorite child. I can’t do it. That said, I love Kat’s spunky, can do attitude. I also empathize with her need to control situations, as I’m a control freak. But I also love Mitch’s no nonsense approach to life. His tough, be-in-charge-attitude. And I really, really love when they try to work together and their personalities clash and the sparks fly. S.S: What is your favorite scene you have written and why? In Dead Wrong, I think my favorite scene is when Mitch kisses Kat. I make the reader wait for this until near the end of the book and because the build up is so intense you get an ah, moment when they finally do kiss. My favorite scene of all times is in No Way Out, book three in the series when the hero meets the heroine in a storming night on an Oregon beach. I love it because we get to meet and learn about Cole’s struggles and why he’s out in the storm and the storm just adds so many visual elements to the scene. 1. The first is to move back to Oregon to live near my children and grandson. We moved from Portland 10 years ago due to job transfers. Our youngest daughter moved with us and the oldest one stayed. Now our daughter is married and we have a wonderful grandson. Plus our youngest daughter goes to college in Portland, and we are eager to be close to our family again. 2. I would like to publish again in single title format. My dream is to write longer books with more of a chance to expand the characters and events. And to write a bit more gritty suspense. S.S.: Why did you start the Suspense Zone? Please give us its address. 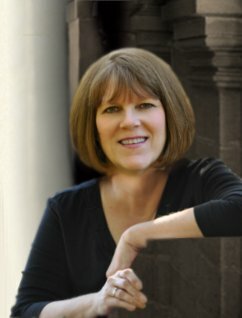 An avid suspense reader, I searched the internet for Christian Suspense books that I hadn’t read in a time when the genre was much smaller and authors harder to find. After searching high and low, I’d compiled a list of over 300 books. I was ecstatic with the opportunity to find new authors with riveting novels. I couldn’t keep this wonderful news to myself. I had to share. So I hatched, er, gave birth to www.TheSuspenseZone.com. The site is devoted to bringing you new releases, new authors, reviews, giveaways, and much more all with the simple click of your finger. Our database of books has expanded in the last few years to over 1200 Christian Suspense tiles. 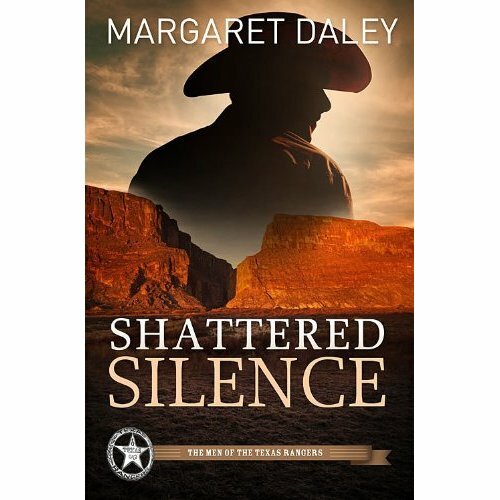 The site is updated on a regular basis with new books being added as the information becomes available so stop by often to discover the wealth of talent in the Christian Suspense market. Susan wants to give away three copies of the first in the series--Double Exposure. If you want to be entered in the drawing, please leave your email addy with a comment. For more information about Gayle, visit her website! I’m a sucker for the innocent bystander heroine. She sees something she shouldn’t. She goes someplace that puts her in danger. She witnesses a crime. Through no fault of her own, her life is now in jeopardy. As I sit in my comfy chair reading, I imagine innocent me getting caught in such a circumstance. I’m hooked. At first my heroine’s floored by the unexpected event that puts her at risk. How could this be happening? All she did was walk down the street or claim Great Aunt Martha’s legacy or try to buy milk as the convenience store was being robbed, all things I could have done except I don’t have a Great Aunt Martha. But I’d like to if she’d leave me a crumbling mansion I can turn into a B&B by sheer grit and determination which I’m sure I could find some of somewhere. Of course my heroine already has a personal problem to deal with. She just got dumped by the guy she planned to marry. Of course we know he wasn’t the right one for her. Or she just lost her job, undermined by a nasty co-worker who wants her position. Or the nightmares are back with extra ferocity. If she could just remember…. Enter our hero. But not to rush to the rescue. Women’s rights have led to a major change in the purpose of the hero. He no longer appears to save the day because the little woman can’t manage on her own. No, he’s there for her to save even as he helps her somehow. Mutuality. She may save him psychologically while he does the physical saving, but not always. It’s this saving of each other that makes their relationship healthy with all the potential necessary for HEA (happily ever after). Danger and romance. It doesn’t get any better. Do you agree? 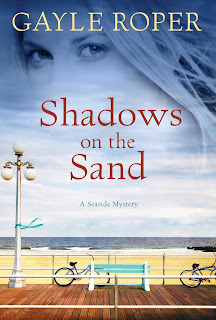 You can win a copy of Gayle's book, SHADOWS ON THE SAND, just by leaving a comment and your contact information! 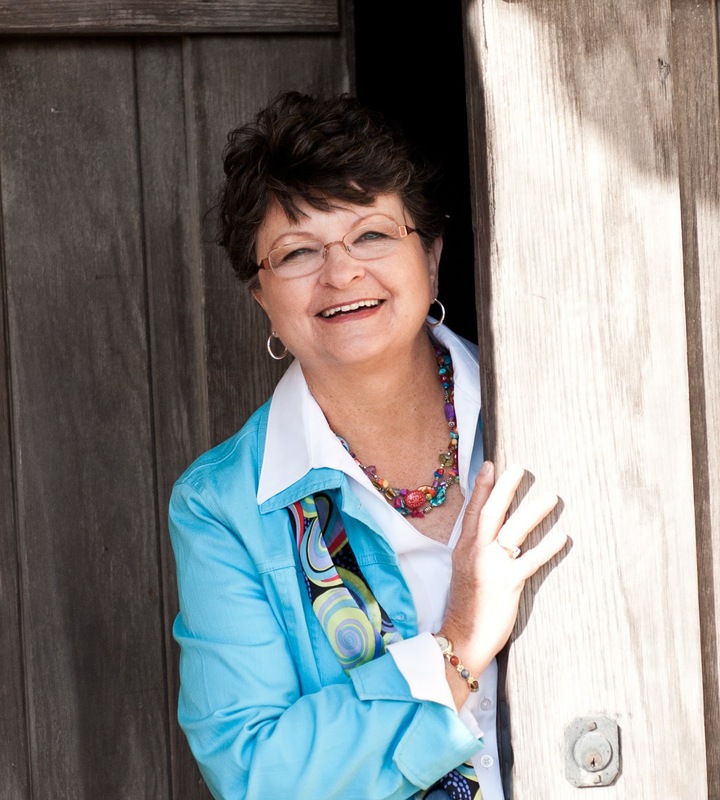 You can learn more about Gayle by visiting her website. I was fifteen when my mother held out a book to me. It was a Phyllis Whitney title, I’ve forgotten which one, and I was hooked on romantic suspense from that day forward. I’d spent the years prior immersed in Nancy Drew and then Judy Bolton. Did anyone but me read the delightful YA Judy Bolton series? Unlike Nancy and her friends, Judy got older, fell in love and married, but she always solved mystery after mystery as she aged. But Phyllis Whitney raised the bar with titles like The Trembling Hills and Thunder Heights. Adult characters. Intense but chaste romance. And suspense! What a delight those early romantic suspense writers were to me. I still remember my surprise at the end of Victoria Holt’s Mistress of Mellyn. Mary Stewart’s The Ivy Tree remains one of the best double identity novels I’ve ever read. Stylistically these books are dated, but the story lines are strong. One of their secrets was the characters, regular people caught in a web of secrets, lies, and deceit as opposed to professional law enforcement personnel used to such experiences. They were people like me experiencing things I found fascinating to read about but would cause a coronary if they actually happened to me. So I write romantic suspense. No surprise there. Sure, straight romance can be fun. So can straight suspense. But for me, it’s the combination that I find deeply satisfying. Who introduced you to your favorites and what were they? 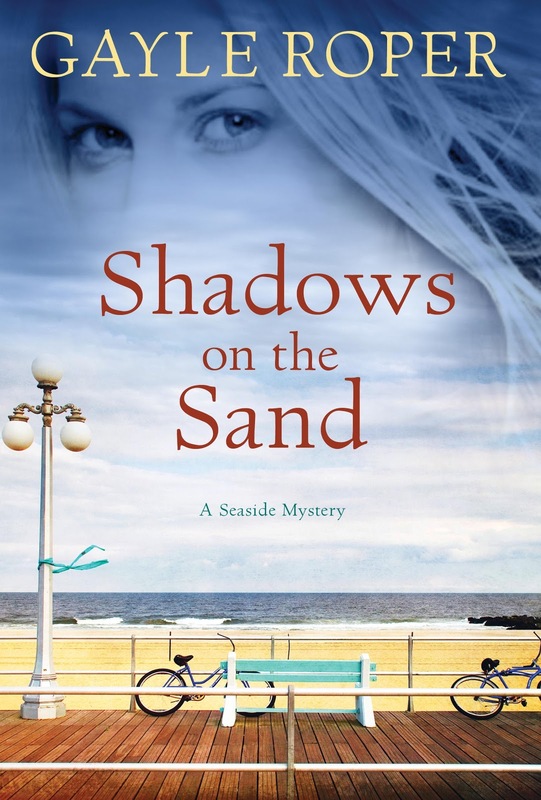 You can win a copy of Gayle's book, SHADOWS ON THE SAND, just by leaving a comment with your contact information! Writing suspense is my passion. I stay awake at night planning a story in which a strong and vibrant heroine attempts the impossible, the forbidden, or the dangerous for the good of others. She meets a hero who compliments her strengths and challenges her weaknesses. Together they take the writer and the reader on an adventure. However, research can be difficult, especially if I’m not familiar with the character’s profession and its rules of conduct. I educate myself through online research and the library until I have accumulated enough knowledge to contact a real person who has this profession. My goal is to pose questions during the interview that are realistic for the character in my book. Sometimes I must preface my inquiry with, “I need to know if this situation could happen, not if it has happened.” This allows me the freedom to create plot twists and circumstances that add tension and conflict to my story while staying true to the character’s profession. Some professions are easier to research than others. The FBI and Border Patrol want public support, and these agencies were not only willing to help me write a credible book but patient in responding to questions. 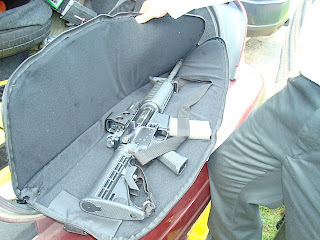 The FBI and Border Patrol allowed me to tour their facilities. The FBI read every word of my novels to ensure accuracy. That doesn’t mean they endorsed my book, but they were willing to point out protocol errors and offer solutions. I’m grateful for their assistance. I’ve taken their FBI Citizens Cadet Academy and I’m a part of their alumni program. Always great information that I can use in my novels while volunteering for a worthwhile organization. I weave romance into my suspense stories. It’s a natural part of human nature. However some agencies frown on their employees fraternizing within their ranks. The reasons are sound. Think about a man or woman in a high-risk situation in which their priorities might be another person instead of his/her responsibilities. For a man and woman who are attracted to each other, employer guidelines might mean hiding their relationship. More juicy conflict. Writing suspense is like putting together a jigsaw puzzle. The pieces have to fit in a way that are credible and in character. Every part of the novel has to add conflict while the plot adds layers to the story problem. I encourage writers who are fascinated by suspense to conduct realistic research. Book sales will grow! If you would like a chance to win a copy of DiAnn's book, THE CHASE, please leave a comment, along with your contact information. We'll draw a winner on the 28th! M. D: I have been writing for thirty-four years. M. D: After retiring as a teacher for twenty-seven years, I now write full time. 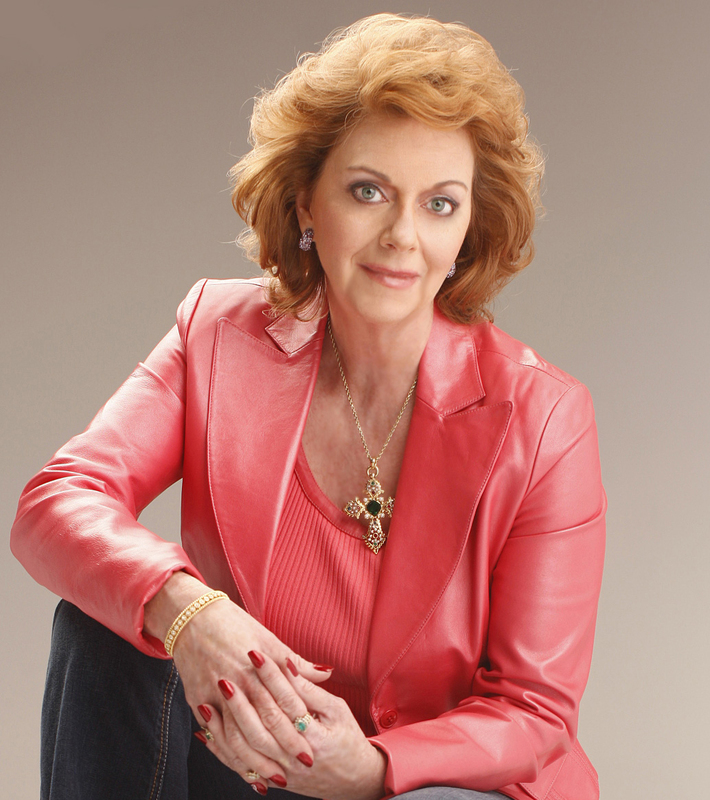 M. D: I felt a "real author" when I got the call and sold my first book in 1980. It was a Silhouette Romance that was published in 1981. M.D: My husband has been behind me and so supportive through my years of writing whether I sold a book or not. He has made my writing so much easier with his support. M. D: My favorite genre to read is suspense and romantic suspense so it seemed natural that I would write what I love to read. I also write contemporary romance. 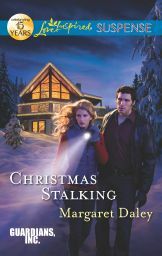 M.D: My current release is Christmas Stalking, November Love Inspired Suspense. Bodyguard Ellie St. James has one objective: protect her client…without letting her know. Pretending to be Rachel "Winnie" Winfield's assistant lets Ellie stay close, but there's an unexpected complication—Colt Winfield. Winnie's grandson wasn't in on the plans, and the suspicious marine biologist isn't easy to fool. When the truth comes out, so do more threats to Winnie's life. Trapped on a Colorado mountain, Ellie and Colt must trust each other to guard Winnie and find the stalker. Before this Christmas becomes their last. M.D: How important it is to forgive a person. This story is about revenge and how it can consume a person to the point it affects his whole life. M. D: I really like Ellie and Colt, but my favorite character is Colt's grandmother, Winnie. She is a fighter. Her faith is deep and she lives her life with integrity. M. D: I am starting the second book in my Love Inspired series called Caring Canines about therapy and service dogs. M.D: I would like to go hot air ballooning and visit Australia. M.D: I hope all of you had a great Thanksgiving. Merry Christmas--can't believe it is a month away. What are some good Christmas books you've read? I just finished reading Chasing Christmas and loved this book by Steven Hunt. I will send my latest one, Christmas Stalking, to one winner. Please leave your email address, if you want to enter the drawing, so I can contact you if you won the book. Nancy Mehl lives in Wichita, Kansas with her husband Norman and her very active puggle, Watson. 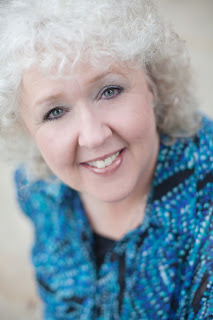 She’s authored thirteen books and is currently at work on her newest series for Bethany House Publishing. You can learn more about Nancy by visiting her Website. Let’s talk about book signings. I can still remember the days when I toted my print-on-demand book to the local Borders and tried to convince them why they should carry it in their stores. Actually, I didn’t have a lot of trouble because I was writing book reviews for our local paper and actually sending business their way. But some of my friends didn’t fare quite as well. And even though the bookstores would usually accept my books, albeit grudgingly, there was still the stigma of not being “good enough” to make it out of the “local interest” area and onto the main shelves. Back then, we were convinced the way to “make it” was to get Barnes and Noble to allow us to have a book signing amid their hallowed halls. Heck, we would have been happy if Bubba’s Used Bookstore had set aside an hour for us while Bubba took his daily nap. Book signings were directly related to your success as an author, right? My first real book signing was at Waldenbooks. I had a book published by a small press, and I also had a publicist. And…the folks at Waldenbooks actually wanted me! (You like me, you really like me!) I showed up, nervous as a calf at a new gate (what does that even mean?) but ready to greet my adoring fans. Waldenbooks had a table set up in the entrance to the store, facing the interior of the mall, with my beautiful books on display. When I sat down, expecting the line of eager readers to snake down the mall and block entrances to other nearby stores, I was…well, let’s just say…surprised. No one was there. Even worse, as people walked past me, I began to wonder if I was trapped in one of those dreams where you begin to realize you’re invisible and no one can see you. (Thankfully it wasn’t the one where you discover you forgot to dress!) Now I’m not saying no one stopped. I directed several people to various places in the mall, including the bathrooms. I would say that particular request was the most frequent. Those who actually stopped to see what I was doing and picked up my book, looked at me like I was trying to sell them tickets to a rattlesnake rodeo. After a while I felt guilty about the whole thing. Not sure why, but I did. Thankfully, several friends and family stopped by, had pity on me, and bought a copy of my book. After my very painful two hours had passed and I’d only sold twelve books, I expected the folk at Waldenbooks to tell me to never darken their door again. But they seemed happy! “Good signing,” the gal said when I dragged myself inside the store, ready to admit defeat. I’m sure my jaw dropped, but I quickly regained my composure and tried to look triumphant. Her reaction should have given me a clue to the reality of book signings. But no such luck. When I got home, I talked the experience over with my husband. Surely this was an anomaly. Future book signings would be better. And they have been. Thanks once again to friends and family. Yes, now that I’m with a large publisher, book signings are much better. I had a great kick off celebrating the release of one of my books. The store went out of its way to support me. Sent out postcards, put my name on the store marquee, had flyers from my publisher on the doors. In fact, they even made a cake with my book cover on it and served food! What more could anyone ask? And we sold lots and lots of books! Mostly to my friends and family – and acquaintances. You see, I’ve learned how to send invitations to everyone I’ve ever met or passed on the street. Sigh again. But my last signing in this same store…and let me emphasize LAST signing…was awful. The store did…well, nothing. No name on the marquee, no postcards, they didn’t even bother to put my posters on the door. I may have sold ten books. Thanks again to friends and family. Strange, huh. Especially since this was the same store that went all out for my book launch. Several weeks after this fisasco, I went to a book signing for an author who is very well known. Much more so than me. Same store where my LAST book signing was held. They managed to find her posters and put them on the doors – but little else was done. In fact, they hadn’t even gotten the books in for the signing. There she stood, one of Christian fiction’s top authors, without the minimal support the store should have provided. And in conclusion…no more signings unless the store specifically asks me or it’s a multi-author event. This advice comes from other authors who have already found out what I’ve just discovered. It ain’t worth it. It doesn’t make you enough money to take the family to McDonalds. In fact, if you want to sell books yourself, sell them outright to your friends and family and pocket the money. It will also save them the trip. Sigh repeated. Getting a little light-headed. My publisher can get my books out better than I can. So, I’ll stick to the writing and let them do the book selling. Hi all, welcome to Monday. If you’re reading this post in the morning, I salute you. A great way to start your day! LOL. Just kidding. Reading at night would be a good end to the day, too. So anyway, I have been knee deep in ACFW’s First Impressions contest. I’m the coordinator for the Contemporary category and may I just say, I’m stunned at the number of entries. OH MY GOODNESS. So, I haven’t been coming up for air very often. However, Saturday night I took some time off and went to a booksigning. 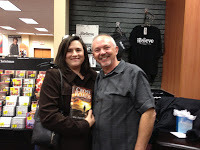 William Paul Young, author of The Shack, was at my local Christian Bookstore. I went, so very glad to be away from my computer! Paul signed books for about 30 minutes, then spoke to the crowd gathered there. He told the story behind the story.And what an amazing story it was. I’d never heard how The Shack came into being. I mean, I read it a few years ago when it was all the rage, but then moved on to the next book. But last night Paul said something that intrigued me enough to make me change my entire post for today. I’m going to give you the condensed version. He said back in 2004, he and his wife lost everything, their house, their cars, everything. Fortunately, their kids were in college on scholarships so they didn’t need a whole lot of space. They moved into a small house near the train station so that Paul would have transportation to work. He was working three jobs at the time. They were so poor that they had nothing to give their kids for Christmas. So Paul decided to write a story for them. He wrote The Shack. The only problem was he had no way to print it, etc. Then one night before Christmas, someone slipped an envelope under their front door. In it was 5 $20 bills. Just enough to print up copies of the book. Paul did. He now had his Christmas presents for his family and friends. Fifteen copies of The Shack. He passed them out on Christmas, so glad he was able to give his gifts. Later, through the course of word of mouth, The Shack sold over 18,000,000 copies in 41 different languages. A German company contacted Paul and wanted to do a documentary on him. He said sure. He recommended a camera guy, but that guy couldn’t do it. However, he recommended another guy. Who also couldn’t do it, but said he would contract out to another guy. Finally, they settled on a date and time. Paul met with this man and he said he wanted to film the small house by the train station where Paul had finished writing The Shack. They went there and the man stopped, stared and shook his head. Paul asked him what was going on? The man told him a story. He told him about how one Christmas he had a little extra money and wanted to give it to someone who had nothing for Christmas. A man he worked with told him about Paul. So one night, he slipped up to Paul’s front door, the front door he was now staring at, and slipped an envelope under it. There were more incredible details that I didn’t include for the sake of the length of this post, but isn’t it amazing how God places people in our lives right where we need them, when we need them? And the funny thing was, Paul sent that manuscript out to 30 something publishing houses and ALL of them rejected the story. And he said he didn’t care. That wasn’t his identity. His identity was in Christ and the first fifteen copies of The Shack had done everything he had intended it to do. Anything extra was gravy. Because Paul had come to be at a very comfortable place. But Paul said, “Nope. The opposite of More is Enough.” Think about that. I just loved that. I love how God meets us where we are, exactly when we need Him to. Thanks for letting me share a little bit about William Paul Young and The Shack. He’s a super nice guy and has a new book for sale. It’s called, Cross Roads. He said his wife liked it better than The Shack. I’m looking forward to reading it. Well, hey, at least it’s eye-catching. As far as writing fiction, I began my journey of learning the craft well enough to attract a major publisher at the beginning of 1990. Sold my first novel at the end of that decade. It was a loooong ten years. Yes, I’m a full-time novelist. 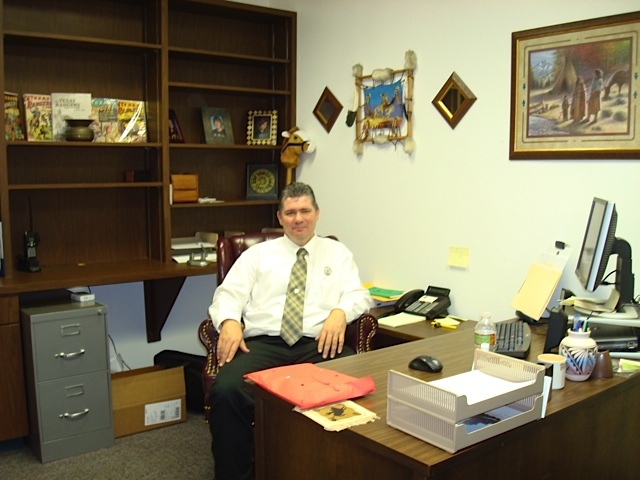 Before writing fiction I had my own business writing marketing materials for businesses and organizations. Things like brochures, annual reports, magazine articles, etc. I thought all my nonfiction writing would make learning how to write fiction easier. In a word … Not. What—there’s a moment like that? My husband. Best man in the world. I used to write women’s fiction. And will soon return to that in the form of self-published ebooks. I’ll write these between writing my suspense novels contracted with B&H. Why suspense? You can’t get any more dramatic than the genre. I get to kill people off and put my protagonists through all the misery I can throw at her. Here’s a nightmare for you—finding yourself as a protagonist in one of my books. Carefully and thoughtfully, I’d say. I never sit down to write a Christian novel. I sit down to write the best suspense I can. My job is first to entertain. But somewhere along the way I begin to see the spiritual aspect of my protagonist’s journey. This journey arises naturally from the plot and my protagonist’s unique life experiences. It’s wonderful to have the freedom to explore this aspect of my characters. Still, my Seatbelt Suspense® must be fast-paced and tautly written. So the faith element must be intrinsically woven into the plot. I’ve been fascinated with brain technology and what will be possible in the future. I used current experimental technology for treating depression and took it into the future—what it might look like in a few decades. I originally was going to write about an “instant-knowledge” chip—one that implants any new learning into your brain that you’d like. For example, want to learn French? Impant the tiny chip for that, and you’ll instantly speak it. I started that book, but God had other plans. He led me to change the story to a chip that treats depression. And from that grew the faith journey upon which Lisa embarks as she fights all the challenges I throw at her. I can look back and see God’s strong leading as I wrote. Well, first I hope they remember it as a great, page-turning suspense. As for take-away value, I hope the story impresses upon readers the truth that God is always there for us, no matter whether we “feel” Him or not. Because many people in depression don’t. They think God has abandoned them. S.S. Your trademarked brand is Seatbelt Suspense®. What does that brand stand for? My Seatbelt Suspense® carries a four-point brand promise: fast-paced, character-driven suspense with myriad twists and an interwoven thread of faith. Every “what-if?” story idea I think of has to fit all four points strongly, or I won’t write the story. Most ideas don’t measure up. The story would require too slow a start or whatever. My loyal readers expect me to live up to this brand with each new book. I’ll tell you—it gets harder every time. Maybe it’s the fact that I can’t use XYZ twist, because it’s too close to one I used in another book. Or something. But I can’t back down on the quality and aspects my readers expect. So I mutter to myself, kick a lot of cabinets (well, metaphorically, anyway), and think every book I write is the worst I’ve ever written and will undoubtedly kill my career forever. Somehow I manage to stumble on …. I’ve completed the next book, to release next year—Dark Justice. It’s about three women—grandmother, mother, and daughter—caught in a terrorist plot to hit the nation’s electrical grid. Somehow they’re going to have to stop it. If they live that long. Now on to the next book—my first self-published e-book (novella length) about a loud, loving, endearing family in Mississippi. After that, my next (full-length) suspense. Repeat cycle. You mean you want me to name just one thing? My website. We have fun on my Facebook page. There (and on Twitter) I do Today’s Word (imagine how you’ll impress your family and friends with your new vocabulary! ), post crazy pictures and ask for creative captions. That kind of thing. I do not kill off anyone who “likes” my page. And I answer reader questions and comments. Thanks for hosting me, Suspense Sisters! BRANDILYN IS GIVING AWAY TWO COPIES OF HER NEW BOOK, DOUBLE BLIND! FOR A CHANCE TO WIN, LEAVE A COMMENT ALONG WITH YOUR CONTACT INFO! Until…I watched the televised adaption of Christie’s Poirot mysteries starring David Suchet. Watching the Poirot episodes is one of the few times I can honestly say that the movie (in this case the television series) is better than the book. Suchet brings nuances and humor to the character that I just didn’t pick up on in the books. The relationship that Poirot has with his assistant Captain Hastings and his secretary Ms. Lemon is enhanced and expanded on from the books. The 1930s sets and costumes are wonderful. There is also throughout the series some subtle Christian themes. Poirot is presented as a practicing Roman Catholic. Themes that to the best of my memory were not present or were very understated in the books. David Suchet is a Christian who provided voice of Aslan for Focus on the Family’s Chronicles of Narnia radio shows. I don’t know if he had anything to do with bringing the Christian themes more to the forefront in the series or not. The episodes (some 65 in all) are an hour long with a few longer movie length ones thrown in. I still have to watch the final episode Curtain. If I had to choose a favorite I would say Murder on the Orient Express. Even though I knew how it was going to end it was well done. You can find many of the episodes on Netflix streaming and PBS airs them from time to time or you can rent them. Well worth watching. Zero Visibility - Two strangers find themselves stranded on a mountain during a freak storm pursued by thieves who are bent on killing them. If you'd like a chance to win one of these books, just leave Sharon a comment, along with your contact information! I taught middle and high school for twenty-seven years, and I consoled many kids over those years that were being bullied. It broke my heart. The students I taught were children with special needs. Other kids sometimes made fun of them or had them do things then laugh at them. I do not tolerate bullying then and now. That's why I wrote Shattered Silence. I wanted to show different situations where a person was bullied (abused) by another. One storyline is centered around a high school student. The two other subplots concern the workplace and an abusive marriage. When someone is bullied, it leaves a lasting mark on that person. I've talked with many adults who can distinctively remember the circumstances around a bullying incident they were in the middle of. It isn't always the outcasts or overweight kid or geek that are bullied. I have a friend whose daughter is beautiful and smart and was a cheerleader for her high school. Her last semester of high school was done at home through online courses because there were girls at the school that bullied her and made her life miserable. 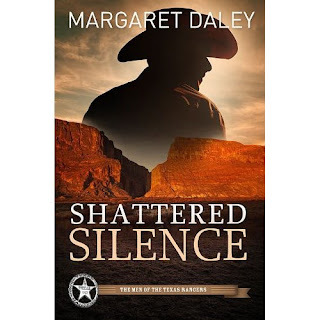 She became physically ill.
For her and the thousands of people who are bullied all over the world I wrote Shattered Silence. I didn't just present the situation of being bullied but offered a few suggestions for improving the situation. I toured Company B's main office in Garland. Above is a picture of a Texas Ranger from Company B who helped me by answering questions about the law enforcement organization. He is sitting in his office. 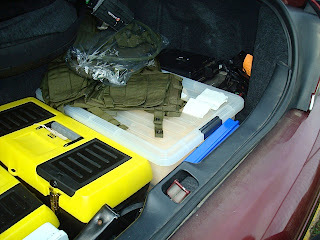 Below are some photos of what the trunk of his car looked like filled with tools to help him do his job.